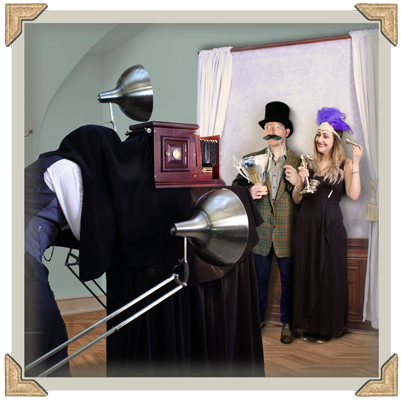 Vintage Photo Booth & Selfie Mirror Hire for Weddings, Events and Parties - The Jolly Good Photo Co.
Beautiful booths. Fantastic photos. Perfect props. 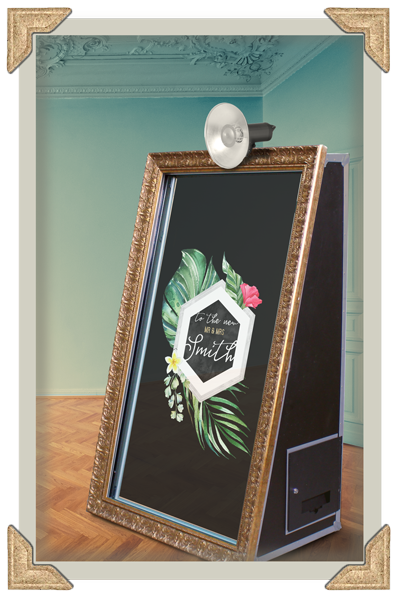 A dapper vintage photo booth and stylish selfie mirror to hire for weddings, events and parties across the uk and beyond! Thank you so much! Highly recommended." 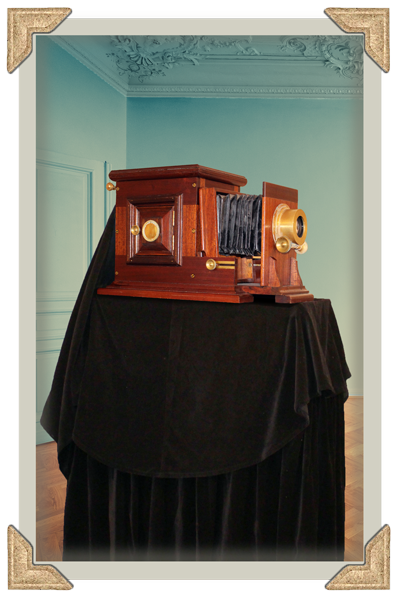 Say hello to our genuine antique camera - the show piece of our vintage photo booth. 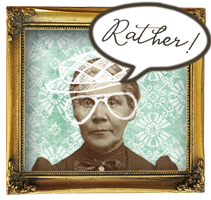 With the help of some technical magic hidden away inside, the vintage photo booth provides all the fun and speed of a modern photo booth but with the classic styling of an old-time studio. Set up includes camera & stand, elegant backdrop, lighting and vintage props. Instant 4" x 6" prints in sepia, black & white, full colour or antique colour. The open set up fits into a variety of spaces, allows for bigger groups, families, wheelchairs & kids and provides entertainment for everyone in the room. After the mod-cons of a selfie mirror but with elegant styling to match your venue, colour scheme or theme? Look no further. Our gorgeous mirror captures full length pictures and is a great alternative to a standard booth. 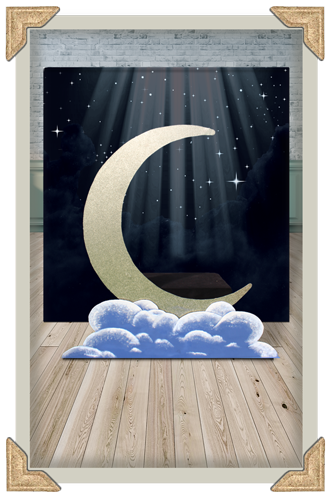 With animated graphics that appear in the mirror and instant prints, it's a true wonder! Fully customised to your wedding or event with a choice of frame, props, print style & graphics. Beautiful on-screen graphics and prints styles that are unique to us and can include your names, event branding or even match your stationery. Combined with our stunning guest books it's the perfect mix of entertainment for your guests and a wonderful keepsake for you. 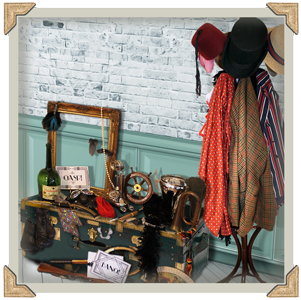 Our fun but stylish props are the perfect accompaniment to the vintage photo booth or selfie mirror and are included in all packages. 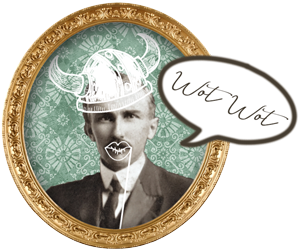 Real, authentic items rather than cut outs on sticks such as genuine antiques, replicas and theatrical costume items. Prop packs include hats, jackets, handheld items and signs. 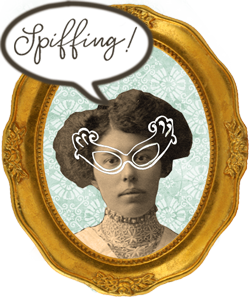 Choose between vintage, retro or modern props and extra themed props tailored to your wedding or event can also be included. vintage trunk or dedicated cabinet to keep everything neat and tidy. 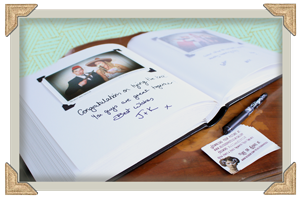 ​Take a look at our gorgeous, fully managed, guest books. A perfect keepsake for your big day and an instant album of amazing, fun photos to look at the morning after and whilst you wait for your official pictures! Had a picture taken with the booth or mirror? Check out our online gallery to find your photo. We put every effort into making sure every photo is top notch so your guests will want to keep theirs forever! Instant, beautiful prints using professional (but hidden!) printers. Choose between sepia, black & white, antique colour or full colour prints. Prints can include your messages, names, monogram or branding. are full 4" x 6" size and can include vintage filters to match the camera. 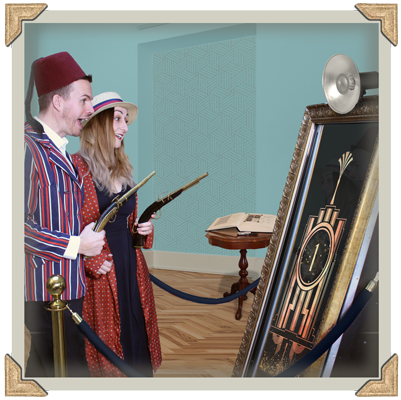 Our vintage photo booth and the selfie mirror can be themed ​to suit your wedding or event. Theming includes props, backdrop, print style and for the mirror on-screen animated graphics and frame. If a full-on theme isn't your thing then the mirror can also be styled to suit your colours, look or even match your stationery or branding. 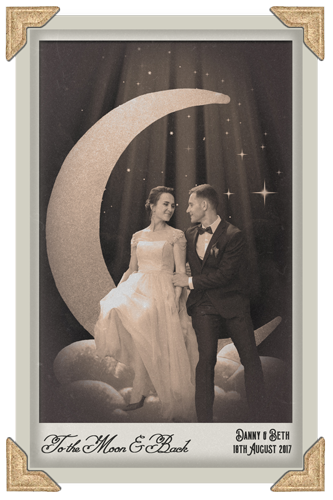 'Love you to the Moon and Back' Celestial or Moon & Stars. Got a question? Need to know about logistics, details, or specifics? Check out our 'About' section to find out more about space, sizes, lighting, backdrops, running times, payments, team members, travel and lots of other bits and pieces.